Welcome to Sportskeeda's greatest Formula One drivers of all time series where we rank the best from a selection of countries that have brought up big names to the heart pumping racing series. In this slideshow we pick our top five British F1 drivers of all time. F1 began all the way in 1950 and in those 69 years we have seen many world champions crowned to determine who are the best drivers planet earth has to offer. We have seen a number of German drivers win world championships including the sheer dominance of Michael Schumacher and Sebastian Vettel in the 21st century. Three Finnish names of Keke Rosberg, Mika Hakkinen and Kimi Raikkonen by bringing home a total of four driver's championships since Rosberg's first in 1982. F1 has certainly shared the racing with many different cultures but now we turn to British racing. The very first F1 race took place at the historic Silverstone circuit for the British Grand Prix that was won by Italian racer Giuseppe Farina. There have been over 160 British drivers that have competed in F1 but only ten of them can say they won the world championship once or on multiple occasions. 18 world championships overall for British motorsport but who is the greatest of them all? Here are your top 5 British F1 drivers of all time. Ranking the top 5 is hard enough but not including Jenson Button would leave this slideshow with regret. 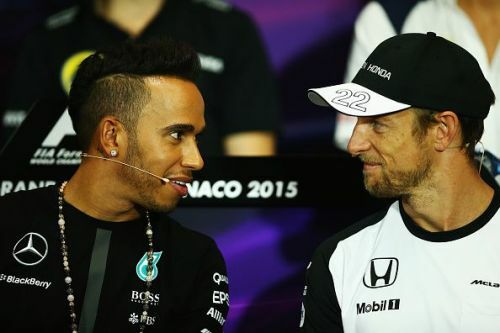 To many, Button was the people's champion. He was very much loved during his time in F1 even before he was crowned world champion in 2009. His character, his personality and his sense of humour certainly won many fans over and when Button won his first ever Grand Prix at the 2006 Hungarian Grand Prix - it would mark the real talent of Button that some had doubted. But three years later, no one had ever predicted Button to become a world champion in 2009 ahead of the first race in Melbourne, Australia. Brawn GP took over from Honda Racing after the 2008 championship but after no real appearances at pre-season testing, Ross Brawn's team look to receive a very long season ahead. Then out of nowhere, Button won the Australian Grand Prix and team mate Rubens Barrichello completed a one-two finish. The championship win got Button a contract at McLaren the following year and would win multiple races including the infamous Canadian Grand Prix in 2011. 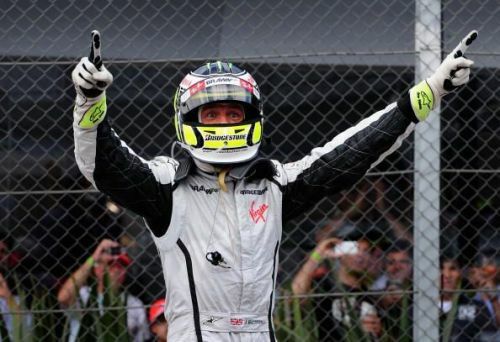 Winning a championship and winning arguably the greatest F1 race of all time, not a bad career Jenson.